Jamie Harron Case: Dubai Frees Scottish Tourist Over Touching Man In A Bar : The Two-Way One day after a Dubai court ordered Scottish tourist Jamie Harron to spend three months in jail over touching a man as he passed him in a bar, Dubai's ruler has ordered Harron freed. Jamie Harron, 27, was arrested in July and charged with a variety of offenses. He was ordered jailed for three months over what he says was incidental contact with a man in a crowded bar. 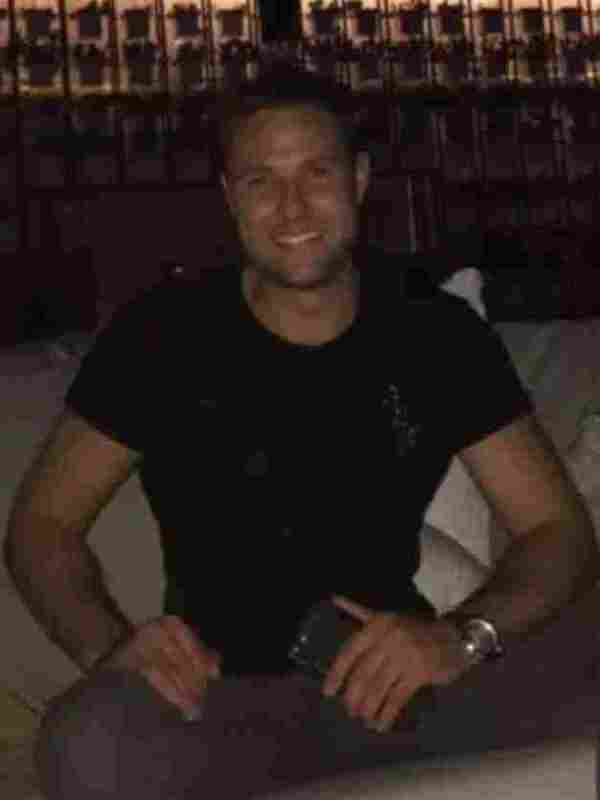 One day after a Dubai court ordered Scottish tourist Jamie Harron to spend three months in jail over touching a man on his hip or rear end as he passed him in a bar, Dubai's ruler has ordered Harron freed. The case had generated calls for a boycott against the United Arab Emirates city. In court, Harron's accuser, a businessman of Jordanian descent who heads a German plant in Dubai, said that Harron had touched him — and that when asked about it, Harron flashed his middle finger. In his defense, the tourist said that he had been attempting to move through a crowded bar and made accidental contact with the man. Harron, 27, was arrested and charged with public indecency this past July. He's an electrician who was stopping through Dubai on his way to work in Afghanistan. Instead, he has been forced to stay in the emirate. Along the way, his case has drawn international media coverage — and criticism of both Dubai's legal system and of his accuser. The Scottish man was sentenced on Sunday; one day later, Detained in Dubai, a legal campaign group that's been assisting Harron, announced that Dubai's ruler, Sheikh Mohammed bin Rashid al-Maktoum, ordered Harron to be released. The brief interaction took place in a bar called the Rock Bottom; it generated numerous complaints against Harron, from sexual assault to consuming alcohol without a license (for which he also received a one-month jail term). "A 27-year-old mechanical engineer, who is a witness friend of Harron, told prosecutors that the Scotsman did not mean to offend the man, but confirmed that he did touch him.
" 'He was passing near the other man and accidentally touched his arm then immediately apologized and he patted him on his behind in a gesture that meant he was sorry,' said the witness." The case has drawn renewed attention to the differences in law and standards between Dubai and many Western countries — and Detained in Dubai has criticized both the emirate's laws and the U.K. government's warnings about them, saying that Harron is only the most recent traveler to suffer from Dubai's legal system. Up until the last minute, it seems, Harron had doubts about the order that should allow him to leave Dubai. He had endured an earlier reversal after a seeming breakthrough, when his accuser reportedly wanted to drop his complaint but Dubai prosecutors kept the case alive. "When Jamie was called this morning by the police he was told that the case had been dismissed, and that he should come in to collect his passport," Radha Stirling, CEO of Detained in Dubai, said in a news release. "He was understandably nervous; as similar calls from the police in other cases were merely tactics to lure individuals into police custody," Stirling says. "But when Jamie arrived at the police station, his passport was returned, and he was told that he was free to go. The charges were dropped, the sentence annulled, and he faces no order for deportation." Stirling said the outcome proved that the allegations against Harron were unwarranted. And while she praised Sheikh Mohammed's action, she added, "a fully functional legal system would not require outside intervention." Stirling says Harron may now pursue legal action against both his accuser and the company he works for, Neuman & Esser, which makes compressors and grinders that are often used in the gas and petroleum industry. Interest in the case prompted British Ambassador Philip Parham to clarify the services embassies in the area can provide. He added, "More than 100,000 British people live in the UAE and another 1.5 million visit every year. Fortunately, most stays in the UAE are trouble-free." Current guidance to U.K. citizens traveling to the emirate includes a warning that it's currently illegal to show sympathy for Qatar ("Offenders could be imprisoned") in an ongoing regional dispute. That's followed by a broad warning: "Laws and customs are very different to those in the UK. You should respect local traditions, customs, laws and religions at all times. There may be serious penalties for doing something that might not be illegal in the UK."